Meet MMT on stand K1 at Ocean Business in Southampton. 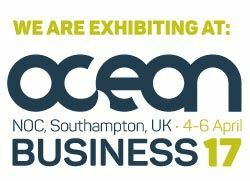 MMT is proud to announce the participation at Ocean Business, a key event within the marine survey industry this year, on the 4-6 April 2017 in Southampton, UK. MMT offer a complete set of marine surveys within the offshoreenergy, marine cable and maritime sectors. Our expert teams, highly technical equipment and vessels allow us to offer our clients integrated solutions at all stages of the process. From surveying prime locations, identifying optimal seabed conditions for locating structures and foundations, investigating potential cable routes and conducting environmental surveys to understand habitat information within the development sites.